Open to the public since 1983, the Paint Creek Trail in northeast Oakland County is the first Rail-to-Trail in the State of Michigan. The 8.9-mile trail is managed by the Paint Creek Trailways Commission and is a true gem in the region. In order to be cost efficient while ensuring a plan that reflects community input and State requirements, livingLAB staff assisted the Paint Creek Trailways Commission in the development of the 2014 – 2018 Plan. Assistance included the development of posters for 5 trail kiosks announcing the master planning process and encouraging input at a public open house and an online survey. 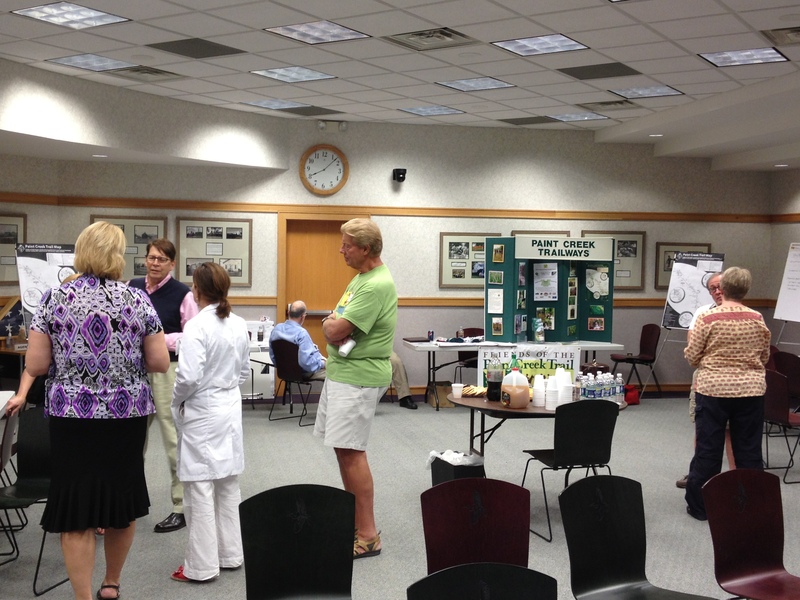 An open house was held with approximately 26 participants to help identify issues and priorities. More than 600 people completed the online survey. livingLAB also served as an Advisor to the staff providing guidance related to planning process and content.